Our divorce and family law attorneys at Mirabella, Kincaid, Frederick & Mirabella, LLC, have extensive experience helping our clients navigate the process of divorce. Our senior attorney, Joseph F. Mirabella, Jr., has been practicing divorce and family law for more than forty years, and is known throughout DuPage County as an attorney with integrity and dedicated to keeping costs reasonable and crafting settlements in favor of our clients. 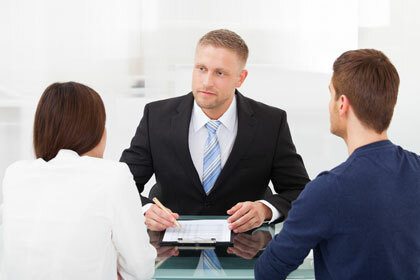 When you consult one of our divorce lawyers at Mirabella, Kincaid, Frederick & Mirabella, LLC, we will thoroughly discuss the legal procedure, your options and the costs of divorce. We want you to be knowledgeable about the process and comfortable with us as your attorneys during this difficult time. Contact an experienced and compassionate divorce attorney at Mirabella, Kincaid, Frederick & Mirabella, LLC. Family law is the legal term used to describe the laws in place to define relationships among family members and those connected by other relationships such as having a child together. Family law defines the way society views interactions among family members and demonstrates the value society places in familial relationships. Making the decision to get a divorce can be one of the most important and emotional decisions you will ever make. The process is often more difficult and more emotionally charged when children are involved. An experienced family law attorney from our firm can help you approach the emotional, financial, and legal matters involved in a divorce in a rational manner. In Illinois there are clearly defined guidelines for child support and courts take the enforcement of child support orders seriously. It is often helpful to consult an experienced child support attorney to learn your rights whether you are the person receiving support or the person making payments. There is nothing more important in a divorce proceeding than maintaining a relationships between parents and children. While it is best for parents to reach a mutually acceptable agreement regarding custody and visitation, courts will enter orders regarding these issues if the parties cannot agree. Consultation with an experienced custody and visitation attorney at our law firm can often help resolve issues of conflict. Most people do not consider that marriage is a contract between two consenting adults that changes the legal status of both parties. It is often advisable to consult an experienced family law attorney before getting married to determine what your legal rights and responsibilities are. An adoption occurs when a child not born to a person or persons is legally declared to be the child of that person or persons even if neither person is the biological parent of the child. Every adoption requires that a court approve the action and requires some finding of fitness of the adoptive parents to care for the child. The ABA's Section of Family Law's Web site is designed for general use by the public. The Web site contains tables and summaries addressing differences in state laws and requirements for divorce, child support, and other important family law issues. The Legal Information Institute (LII) is known internationally as a leading provider of public legal information. The LII's Family Law section contains statutes, case law, and articles covering a variety of family law topics. The Office of Child Support Enforcement (OCSE) is the division of the Administration for Children and Families (ACF) responsible for administering the Child Support Enforcement Program (CSE). The CSE is a federal/state/local partnership to help families by promoting family self-sufficiency and child well-being. The CSE offers services related to locating non-custodial parents, establishing paternity, establishing support orders, and collecting support payments. The CSE also offers services for non-custodial parents.